For the WGC-HSBC Champions tournament, organizers released an animated short of five golfer superheroes. 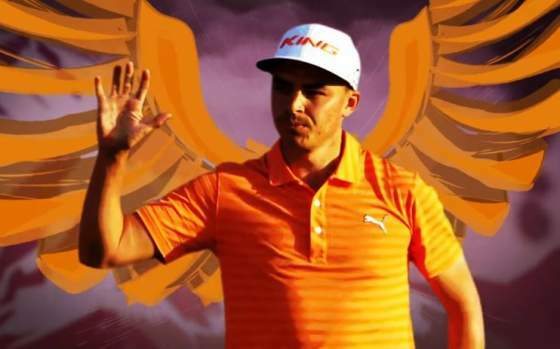 The five: Open Champion Henrik “The Machine” Stenson, US Open winner Dustin “The Heat” Johnson, Rickie “Eagle Eye” Fowler, Bubba “The Magician” Watson plus local hero Haotong “The Force” Li. HSBC Global Head of Sponsorship and Events Giles Morgan said: “Quite simply, this is one of the strongest field ever assembled in Asia – forty of the world’s Top 50, eight of the world’s Top 10, all four Major winners, two Olympic medallists and nineteen of the twenty four Ryder Cup representatives. “The quality of field is what inspired our superhero theme and, in the year that DC comics unveiled its replacement for its famous Superman character as Shanghai-born ‘Kenan Kong’, it felt appropriate for us to celebrate the superhero skills of some of the world’s best golfers. “When we first brought HSBC Champions to China in 2005 our ambition was to create a world-class international golf tournament in an emerging market. Over the past decade the event has earned the reputation of ‘Asia’s Major’ and this year’s WGC-HSBC Champions is the first truly global tournament following golf’s return to the Olympics.